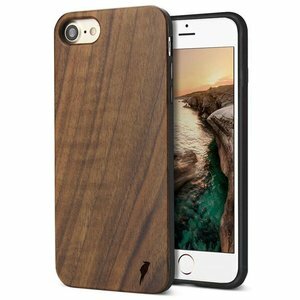 Looking for a stylish way to protect your iPhone 6 or 6S? The Guardian fulfills your needs! The Guardian is the flip case model from the Woodiful collection. It makes sure that your iPhone 6 or 6S is protected in a stylish and robust way. The robustness of the covers ensures the perfect protection of your vulnerable smartphone. The strong material ensures that your smartphone is protected from cracking or cracking when dropping the device. It also prevents scratches on the back and sides of your smartphone. Suede is attached on the inside of the phone cases, to make sure the smartphone can be applied to the case undamaged. The wooden smartphone covers have a slim fit system. This means that the covers perfectly fit the model to ensure the corresponding robustness. The cases are easily attachable and detachable by means of a click system. The buttons and functionalities of the smartphone remain fully accessible.